Bob Looby is the Big 81's Legendary Morning Anchor. Bob is a long-time employee of KBHB, and can share quite a story about his days here. When not broadcasting, he enjoys spending time with his grand kids and providing the play-by-play at the Sturgis Dragway. Francie Ganje works in News Development and on-air at the Big 81. Her career spans editor, advertising sales management and publishing in the print medium. She is an award winning writer on a state, regional and national level. The South Dakota Press Association, the National Newspaper Association and the National Federation of Press Women have recognized her work in print. Her move to writing for radio programming prompted a popular on-air gig in talk radio, award winning re-enactment programmng development and delivery. She is the producer of the Will Rogers award winning Heritage of the American West Performance Series, featuring performers from across the country in the cowboy western and poetry genres. She also produces the popular Black Hills Stock Show Today, a two hour, live radio program covering all things Stock Show. She is a recipient of the Black Hills Stock AgriBusiness Person of the Year, Who's Who Women in Business, a Melvin Jones Fellow, Inductee to the South Dakota Country Music Hall of Fame, and has been recognized by the Black Hills Stock Show Foundation, the Livestock Marketing Association and the Livestock Publications Council. Gary Matthews works in the News, Programming and Sports department at the Big 81. He is originally from Saratoga, Wyoming and a graduate of Black Hills State University with a Bachelor of Science Degree in Mass Communications. Gary has loved radio since his childhood, and loves to air Sturgis Scooper sports during the fall and winter. Rich Verschoor is the Big 81's early afternoon and early evening anchor. 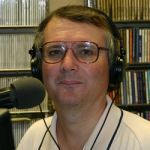 Originally from Huron, Rich has spent a long time in broadcasting, and has been a long-time employee of KBHB. 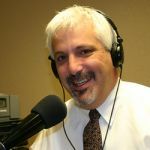 Rich is also the host of the weekly "Rich Verschoor Remembers" show. Rich countdowns the top 10 hits from this week 25 years ago. His show airs at 2:05 p.m. every Friday. 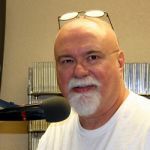 Dean Kinney is your host of the legendary KBHB Radio Auction. The radio auction comes your way Saturday's from 9:00 to 11:00 a.m.